With new contenders, the DNC’s plan for just six debates is inadequate. The race for the Democratic presidential nomination woke with a start in late May. Hillary Clinton still has a daunting lead in the polls, which she has ably maintained by eschewing cautious centrism and articulating progressive positions on issues like mass incarceration and immigration reform. But the notion that Clinton will simply grab the crown and stroll with it into a fall 2016 contest with the eventual Republican nominee has been upset by the entry of Vermont Senator Bernie Sanders and former Maryland governor Martin O’Malley into the race. Sanders kicked off his campaign at a boisterous May 26 rally in Burlington, Vermont, where environmentalist Bill McKibben told a crowd of 5,000 that “this land was made for you and me…not for a handful of billionaires and oil-company executives.” It remains to be seen whether McKibben’s argument that “all of us trump money” will prevail, but the overflow crowds that Sanders has attracted in New Hampshire, Iowa, and Minnesota have both The Washington Post and The New York Times taking stock of “Bernie-mentum.” After an audience of 700 cheered Sanders’s call in Davenport, Iowa, for “an economy that works for all of us, not just the top 1 percent,” Democratic Mayor Bill Gluba predicted: “If he keeps at it, he is going to capture the hearts and minds of Iowans.” Indeed, a recent national poll showed Sanders’s support jumping from 4 to 15 percent in two short months, cementing his status as the leading rival to Clinton—a status underscored by the Run Warren Run campaign’s announcement that it would suspend its efforts to draft Senator Elizabeth Warren into the race. Younger than the other contenders, O’Malley has a generational appeal, as well as an executive track record as governor and, before that, mayor of Baltimore. That legacy has been tarnished by the renewed attention to racial disparities in policing and incarceration since the death of Freddie Gray in April. 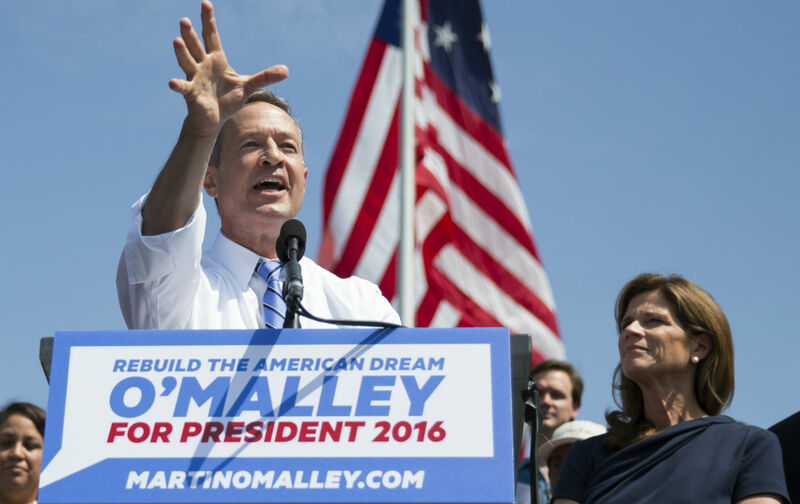 But O’Malley still has an opportunity to candidly address his record on law and order, as well as to make a credible case for a new urban agenda. To do so, however, he must be heard, which is why his camp objected to the Democratic National Committee’s plan to schedule just six debates (as opposed to as many as 12 on the Republican side) and to impose an “exclusivity” rule that punishes candidates for participating in other debates. Sanders also wants “a lot more debates,” and he talks of starting them in July. That makes sense for both men, as well as other presidential prospects like former senators Lincoln Chafee and Jim Webb. It also makes sense for Clinton, who should recognize that grassroots Democrats are flocking to Sanders and paying attention to O’Malley because they want specifics on issues ranging from corporate trade policy to income inequality. Engaging these questions will make Clinton a stronger candidate (if she’s nominated). The last thing that the Democrats need is a scripted campaign and a scripted nominee. Sanders and O’Malley understand this; so should Clinton and the DNC.